Somatic symptom disorder is sometimes diagnosed when accident victims suffer chronic pain coupled with excessive anxiety about their physical condition. Somatic symptom disorder is a psychological condition where a person focuses on their physical symptoms, such as pain or fatigue, to such an extent that it causes them considerable emotional distress and difficulty functioning. People who suffer from somatic symptom disorder also often have another diagnosed medical condition that is related to these symptoms. The excessive thoughts and behaviours associated with somatic symptom disorder often result in frequent visits to a doctor. Sufferers often imagine ‘the worst’ and search for an explanation for their symptoms, even when their physician has excluded serious conditions. It is common for sufferers to become so focused on their health concerns that it is hard for them to function, which sometimes leads to disability. Somatic symptom disorder may involve specific sensations, such as shortness of breath or pain, or it may be associated with more general symptoms, such as weakness and tiredness. This disorder is unrelated to an identifiable medical cause or condition, but the feelings are more significant than would normally be expected. Symptoms may be mild to severe. Fearing the seriousness of their symptoms, even if there is no evidence to support a medical concern. Impairment is more severe than would be expected given a medical condition. In the 2016 trial, Hollyner v. Gaston, a 48-year-old woman who was rear-ended in a car accident sought damages from the ‘at fault’ driver. As a result of the accident, the plaintiff sustained soft-tissue injuries to her neck, upper and lower back and shoulder, as well as headaches, chronic neck and back pain, an aggravation of a pre-existing spinal injury, a sleep disorder and psychological symptoms, including depression and anxiety. In conjunction with the plaintiff’s chronic pain complaints and her symptoms of agitation, depression, anxiety and preoccupation for health concerns, the plaintiff’s physicians believed she was suffering from somatic symptom disorder. Medical experts concluded that her chronic pain was likely to continue in the future, and her psychological symptoms would likely flare up periodically and indefinitely. In view of fact that the plaintiff’s severity of symptoms have impacted her ability to function in many day to day activities; her family and social relationships have suffered; and she has been unable to work in the same capacity, the court awarded almost $400,000 in damages for pain and suffering, future loss of income, future care costs and special damages. Another case arose after a plaintiff in her early twenties was injured in a multi-vehicle collision in Toronto. The accident occurred when the defendant driver lost control and crashed into several vehicles. The plaintiff was a passenger in a vehicle that was struck from three sides. As a result of the car accident, the woman suffered from chronic pain and reduced function that are likely to be permanent. In the trial, Mamado v. Fridson (2016), while the jury was debating on appropriate damages, the defendant brought a threshold motion requesting that the plaintiff be barred from receiving general damages for pain and suffering because her injuries did not meet the statutory threshold. In Mamado, the plaintiff’s physicians testified that she suffered from the following injuries: a strain and sprain of the spine, knee injury, headaches, insomnia, chronic pain disorder and degenerative disc disease in her spine. The plaintiff’s physician also believed that she fell down stairs and fractured her foot after the accident, as a result of her weakened knee. A psychologist testified that the plaintiff was significantly traumatized by the accident, and assessed that she suffered from major depressive disorder, post-traumatic stress disorder, and somatic symptom disorder associated with chronic pain. A psychiatrist for the defendant agreed with the diagnosis of somatic symptom disorder. The plaintiff gave evidence at trial that, as a result of her injuries, she was no longer able to pursue her education at York University or obtain gainful employment. 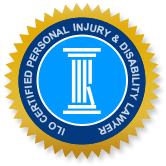 The judge in this case concluded that the plaintiff sustained a serious impairment of an important physical, mental or psychological function and therefore met the legal threshold for general damages. Somatic symptom disorder is a condition that can significantly impact an accident victim’s ability to cope and function. As it is generally accompanied by other disabling symptoms, such as ongoing pain and psychological conditions, a person’s quality of life and functioning may affect everything they do. If you were injured in a motor vehicle accident caused by a careless or negligent driver, call a highly experienced and knowledgeable Mississauga car accident lawyer to find out how we can help. Your initial consultation is free and provides a great opportunity to ask questions and get answers on your legal right to compensation and what’s involved in successfully settling your claim.